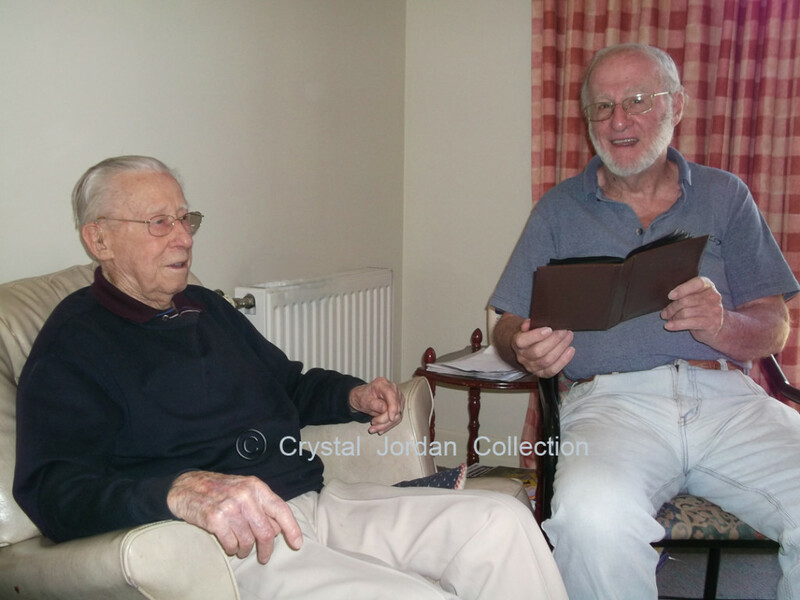 Donald McLennan giving Len Kenna photos he took of Indian POWs at Rabaul, New Guinea, WWII. Sadly Don passed away on the 28 July 2013. INDIAN SOLDIERS WERE: EATEN ALIVE – MURDERED – TORTURED – BEATEN & STARVED IN NEW GUINEA. Several years ago I was hospitalised and the man in the next bed to me related the following story. Crystal and I have verified his story and enlarged on it from our own research. It is the story of the ill treatment that Indian Prisoners of War in New Guinea during World War Two suffered. This suffering equals; or even surpasses for its absolute cruelty and brutality any other story that has come out of World War Two. The name of the man who related the story, from his own experiences was Donald Mc Lennan, Private in the 4th Field Ambulance Australian Medical Corps. Don served in Rabual, New Guinea after it was retaken by the allies in September 1945. His duties as well as general nursing duties, included assisting with operations on Indian Soldiers that had been held prisoner of war by the Japanese. Many of these Soldiers were suffering from ulcers and gangrene and when their wounds were beyond treatment the only option left was for the Australian Medical Teams was to amputate their ulcerated or gangrenous limbs. The fires to cremate the amputated limbs were kept burning for weeks. Don McLennan second from left. 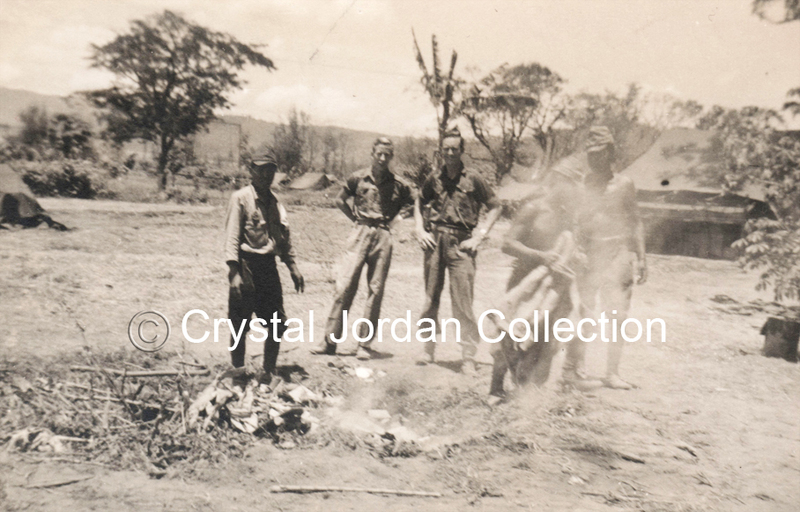 Don was not sure how many operations that he assisted with or how many Indians underwent these operations; but it was a large number, as he can remember that it was necessary for the Australian Medical Staff to keep the fire, that was cremating the amputated limbs, alight for several weeks and that it burnt day and night. 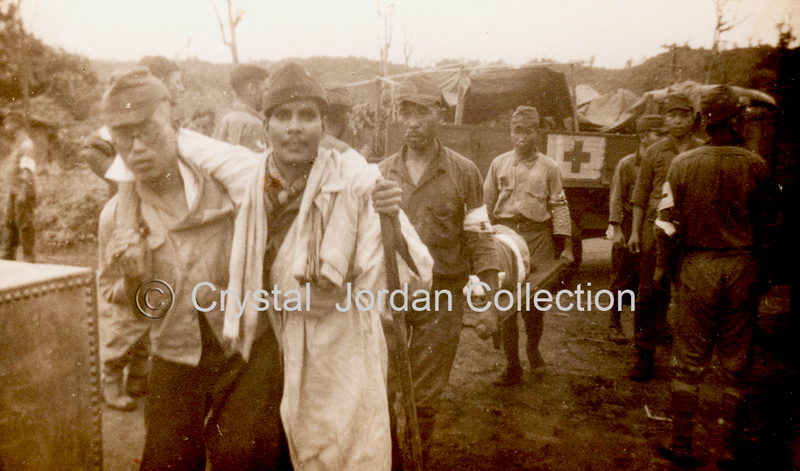 Don was attached to one of the many Medical Teams that had been sent to New Guinea to assist with the repatriation of Indian prisoners of war. Don was full of admiration for the Indian soldiers and the bravery that they showed under the harshest conditions, and personal suffering that they endured, which was beyond imagination. He repeated these sentiments a number of times. Our story of how the Indians arrived in New Guinea starts with the fall of Singapore on the 15 February 1942. This was the worst defeat ever of British soldiers in the history of the British Empire. Over 130,000 men were taken prisoner. Of these there were approximately 40,000 Indians coming from all ethnic backgrounds and religions. It should be remembered that this figure cannot be verified but the number of Indian Prisoners taken was definitely between 30,000 and 40,000 men. These prisoners were then given the opportunity to join as non-combatants in the Indian Nationalist Army headed by Subhash Chandra Bose. Those that did not accept the offer were subjected to cajoling, intimidation and outright bullying in an attempt to force them to join Bose’s army. In all, approximately 10,000 Indian soldiers remained with their battalions and were sent to Forced Labour Camps to various parts of New Guinea, where they were used as slave labour unloading ships, as carriers and other menial tasks. They were poorly fed and treated very badly. So badly in fact, that of the 5,000 prisoners that were sent to the Island of New Britain, only 12 prisoners survived and were alive at the end of the war. Approximately 4,988 were treated so badly that they died before they could be rescued. In other parts of New Guinea the stories were even more horrific although the death rate was not so high. The Japanese Guards at the Labour Camps after they were recaptured by Australian and American soldiers were taken prisoners and War Crime Charges, where possible were brought against them. During these War Crime Trials other accounts of brutality were aired and recorded for prosperity. The Australian Forces made the Mutton Flaps care for the Indian POWs released at Rabaul New Guinea, WWII. Photo by D. McLennan. 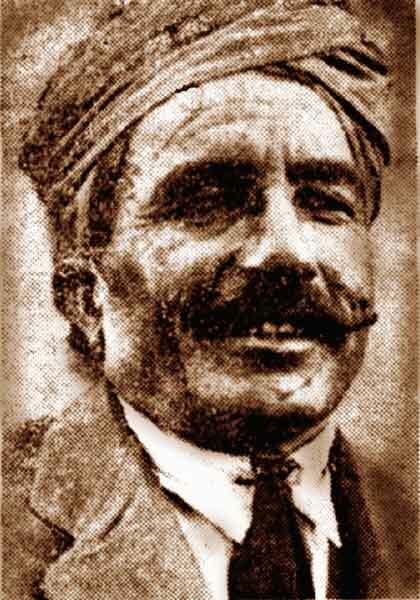 Charges were brought against Lieutenant General Hatazo Adach Commander of the 18th Army in New Guinea for issuing an order that empowered Japanese Officers to execute prisoners without trial. As a result of this order he was charged with having failed to have control of the Officers under his command and sentenced to life imprisoment and two months later killed himself in the prisoner’s compound in Rabaul. As a result of his order there were 58 instances of Japanese Officers murdering Indian prisoners of war and 13 instances of cannibalism. Some on the convictions were; Lt. General Yoshio Tachibaba, the most senior officer who was convicted, found guilty of cannibalism and hung. Captain Mitsuba was found guilty and was sentenced to twenty years imprisonment. Lieutenants Murai and Imamura were sentenced to twenty and five years in prison respectively. Appeals by the officers failed. The Lance Corporal who assisted was acquitted. During these War Crime Trials conducted by Australian Military Forces, accounts of cannibalism were aired and placed on record. The reason for the cannibalism was that the Japanese Troops that were left behind in New Guinea as the Japanese Armies retreated became isolated and unable to receive any supplies. As a result they were reduced to a state of starvation and in order to sate their appetites, the Japanese Guards resorted to eating the prisoners under their care. It was reported that “the Japanese started selecting prisoners and every day one was selected and taken out and killed and eaten by the soldiers. Lance Naik Hatam Ali, testified that he personally saw about 100 prisoners eaten in this way. He went on to say that the prisoners with the most flesh were selected by the Japanese and put to one side and their flesh was cut from their bodies while they were still alive. On another occasion Australian soldiers, on entering a prisoner of war camp found the remains of human flesh. On the 23 of December when Col. Takano relinquished his command about 4000 men had died from ill treatment, lack of food and overwork. In another instance a Company Commander, a Lieutenant and two NCO’S tortured and killed an Indian for stealing four lemons. It was alleged that the Japanese tied him to a pole with wire and repeatedly kicked him until he was unconscious. The beatings lasted all night. The next day he was left in the sun without water or aid. That evening he was taken to a grave and bayonetted to death. These accounts gives the reader some idea of the magnitude of the brutality that the Indian Prisoners of War had to endure during their captivity. It would serve no good purpose to list all of the cruelty dished out to the Indians but the reader should be able to grasp the magnitude of the suffering and degradation handed out to the Indian Prisoners of War. Particularly on the Island of New Britain where all of those stories died with the tens of thousands Indian prisoners that were killed there. 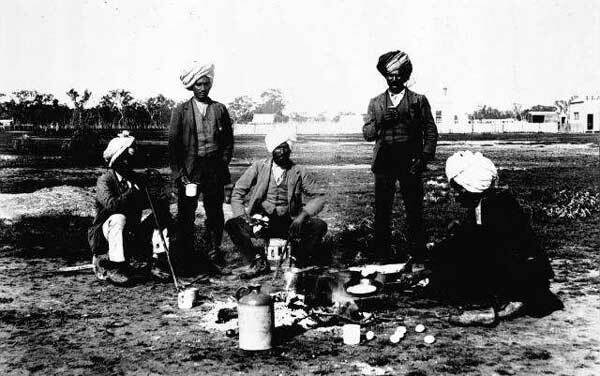 A protocol was established by the Australian Army for the treatment of the recaptured Indians so that they could be treated humanely and with as much respect as possible. 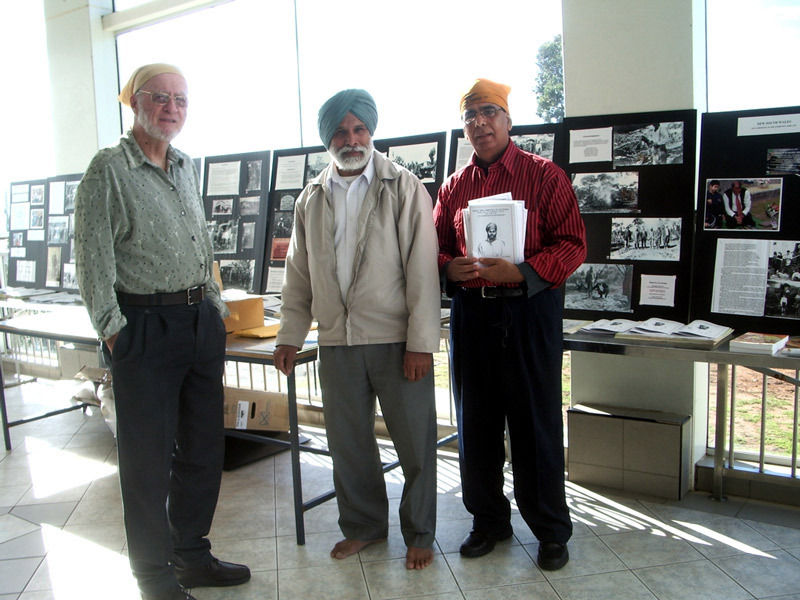 On being released from Japanese custody, the Indian Prisoners of War were assured that they were still soldiers and were issued with Australian uniforms and kit including, 12 yards of white muslin for turbans, indiviual cooking utensils if caste rules required them and an Australian Pay Book. They all received an initial payment depending upon their rank. They were allowed to write home in English or an Indian Script, and the censors reading the mail were told to use the greatest care and remember that they were British Troops, and should be treated accordingly. They received treatment for any illnesses and injuries when possible before they were repatriated to Australia. From Australia when shipping became available they were returned to India. However, after arriving in India after enduring so much suffering while they were held prisoner in New Guinea. They were ostracised and ignored and because they were part of the British Army they were denied a military pension. 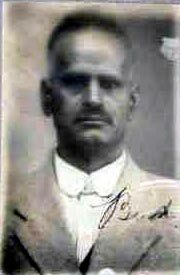 There is one sad footnote to this whole sorry saga, in that when the Indians prisoners were rescued by Australian soldiers all protocols were dropped and the Australians regardless of rank mixed with the Indians regardless of the prisoners rank, they even shared meals in the same mess tents with the Indians. By contrast if they were taken to a camp that was run by the English. Strict protocols were observed and the English kept the Indians at arms-length. The Indians were left to their own devises and were, despite their poor health: like the Japanese before them, the English forced them to build their own huts and denied them an initial payment, and most of the amenities and concessions that were offered by the Australians. They were left to fend for themselves. Of the 10,000 Indian or so Prisoners of War that were sent to New Guinea only 5, 674 survived the ordeal. It is time that all of those Indians and others who died or were treated badly by the hands of the Japanese be given their rightful place in history. 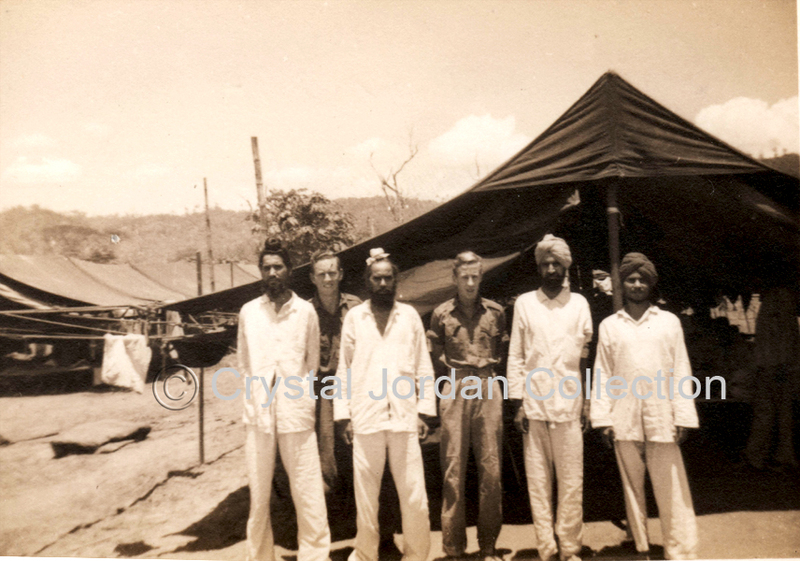 Sikh POWs at Rabaul WWII. Photo: D. McLennan in Centre. Keegan, John, Churchill’s Generals, New York : Grove Weidenfeld, 1991, Chapter 14, Percival. Stanley, Peter, Journal of the Australian War Memorial, “Great in adversity”: Indian prisoners of war in New Guinea. “Japanese Execution of POW’s Lieut-General Adachi on Trial.” Argus Melbourne Wednesday 9 April 1947, p. 4. Lord Russell of Liverpool, “The Knights of Bushido”, a short history of Japanese War Crimes, Greenhill Books, 2002, p.121. Stanley, Peter, Journal of the Australian War Memorial, “Great in adversity”: Indian prisoners of war in New Guinea. War Crimes Trials – Affidavits Chint Singh Indian Army AWM 54, 1010/4/31. “Atrocity Charges Against Jap Commander.” The Canberra Times Thursday 10 April 1947, p. 1.